Dynamic wallpapers are about to change the look of your Mac once Mojave launches to the public, but you don’t have to wait until this fall to get that new new right now. 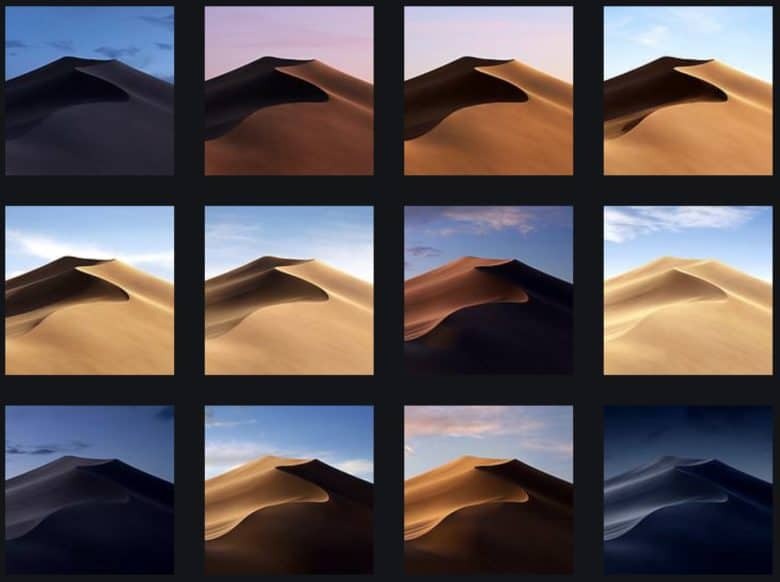 Mojave includes 16 variations of the same majestic sand dune Apple showed off at WWDC 2018. If you can’t install Mojave on your Mac, you can download the Mojave dynamic wallpapers below. A helpful Redditor uploaded a .zip file with high-quality versions of the new wallpapers. The images were extracted from the compressed HEIC image container format included in macOS. macOS Mojave also brings the long-awaited dark mode to the Mac, giving users an inverted color scheme. Black and dark grey windows replace white ones which should be good for photographers and creatives since it allows images and files to stand out more. Apple also added a number of new UI changes and features as part of the huge update. The official launch of macOS Mojave was on September 24 2018.